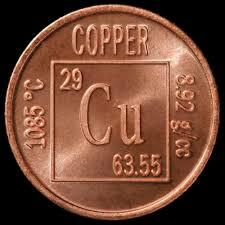 Copper is one of the comparatively few metals that are found in metallic state. It occurs in some minerals such as Copper glance (Cu2S), Malachite (CuCO3.CuO2.H2) and Azurite (2CuCO3.CuO2.H2). Copper ores are found in Burma, Sikkim and Singhbhoom (Bihar). Not much of copper is available in India. 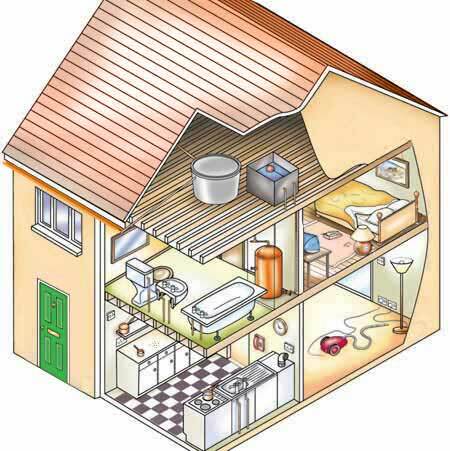 We import atleast 50-60% of our requirement every year. Extremely ductile and malleable either hot or cold. Copper is a corrosion resistant metal of an attractive reddish Brown color. It is an extremely good conductor of heat and electricity. Electrical resistivity = 1.68 Ohms /m. Its tensile strength varies from 300 to 47o MN/m2. It forms important alloys like Bronze and Gun metals. It can also be drawn in wires, beaten into sheets and plates. But its great usefulness lies in the fact that it alloys with Zinc, Tin and Nickel to yield Brass, Bronze and Cupro-nickels respectively which are widely used in engineering industry. Copper, as such, is used for many decorative items. It is used for roofing, spouts,rivets, boilers, condenser and other purposes where corrosion resistance with fair strength and flexibility is essential.